Bio-Rad Laboratories said today it acquired GnuBIO, in a deal that expands the acquiring company’s droplet-based DNA sequencing technology offerings within its portfolio of clinical diagnostics products. The price was not disclosed. GnuBIO says its namesake platform shortens the analysis timeframe for desktop DNA sequencing from days to hours by incorporating all of its functions—including target selection, DNA amplification, DNA sequencing, and analysis—into a platform with a single integrated workflow designed for the medical diagnostics and research markets. 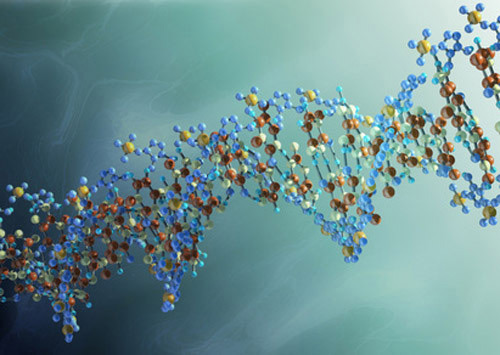 “We believe GnuBIO's innovative DNA workflow is well-suited for the clinical diagnostics sequencing market and will leverage Bio-Rad's leadership role in the area of droplet digital PCR,” Norman Schwartz, Bio-Rad’s president and CEO, said in a statement. The deal is the second acquisition of a droplet digital PCR system developer in the past 2-1/2 years for Bio-Rad, which specializes in tools and services to the life science research and clinical diagnostics markets. In October 2011, Bio-Rad spent $162 million to acquire QuantaLife, whose product line included the Droplet Digital™ (ddPCR™) system. Bio-Rad says the current second-generation version of that system, the QX200 Droplet Digital PCR system, provides absolute quantification of target DNA or RNA molecules for EvaGreen or probe-based digital PCR applications. GnuBIO’s platform uses microfluidic and emulsion technology to perform complex, multiplexed reactions in droplets. The technology is scalable, allowing for interrogation of single genes, gene panels or whole genomes. Headquartered in Cambridge, MA, privately held GnuBIO commercializes technology developed in the laboratory of David Weitz, Mallinckrodt Professor of Physics & Applied Physics at Harvard University. The National Science Foundation (NSF) partially funded Weitz’ lab to develop the GnuBIO prototype, which it shipped as an early-access instrument to the Montreal Heart Institute in 2011. A year later, GnuBIO unveiled the platform at the Association of Molecular Pathology (AMP) 2012 Annual Meeting in Long Beach, CA. The platform began commercial shipment to customer sites last year, with a $50,000 price and the promise of delivering an analyzed sequence of the gene panel, including variant calls and quality scores, in 3.5 hours. In 2012, GnuBIO completed a $10 million Series B round of equity financing from a group of private investors, which include existing Series A shareholders, and won a $4.5 million grant from NIH’s National Human Genome Research Institute.